Disney XD Cries Wakanda Forever! 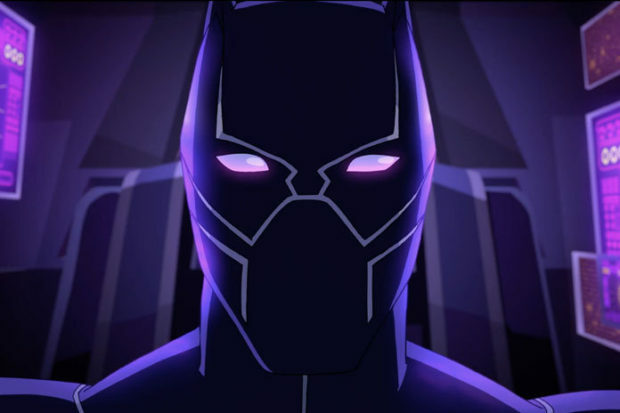 Disney XD recently premiered the new trailer for Marvel’s Avengers Assemble: Black Panther’s Quest, the fifth season of the animated show. The previous seasons of the show have focused on the Avengers as a whole; however after last season’s “Secret Wars” storyline, King T’Challa will be the primary star of the show. However, it is expected various Avengers will appear throughout the season. The show focuses on T’Challa and Shuri who have to deal with the rising threat of the mysterious Shadow Council. The crux of the series will be the internal debate of T’Challa, who must decide how to not only balance being Wakanda’s king and defending it, but also now his loyalties as a full fledged member of the Avengers. The fifth season kicks off on September 23rd on Disney XD. Mac is freelance writer/dramaturg. In addition to fanboy planet, he also covers high school sports for Prep2Prep. As a dramaturg he has worked with such theatre companies as City Lights Theatre Company, San Jose Stage, San Jose Repertory Theatre & Berkeley Repertory Theatre. He also coaches Boy's Varsity Soccer and helps out in the Performing Arts Department of Archbishop Mitty High School. Proud Disneyland Pass Holder & D23 Member.